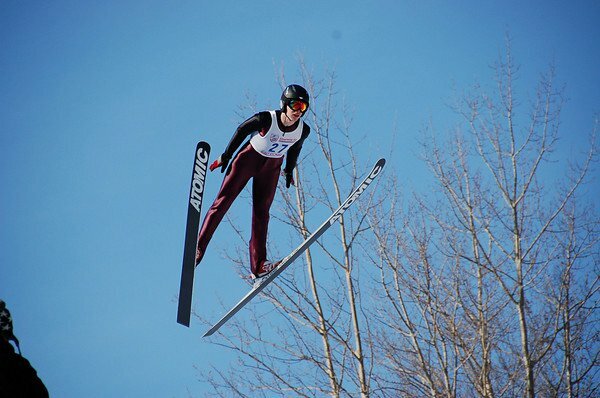 The 88th Annual Snowflake Ski Jumping Tournament will be taking place February 4th and 5th, 2011 at the Westby, Wisconsin Ski Club. Opening Ceremonies will begin Friday evening, February 4th at 7:00 PM with the jumping done under the lights!! The evening will conclude with fireworks and live music from The Freezers from 9:00 PM to Midnight. Saturday, February 5th will begin with opening ceremonies at Noon and will conclude with live music from Mr Blink from 3:00 PM to 7:00 PM. A button is required to enter the tournament. $20.00 the gate ($15.00 pre-sale at numerous local area businesses or on-line. Children 12 and under are free as well as Military admitted free with a current military ID card or other proof of service such as VFW, Legion or DAV current membership card of their DD Form 214 and photo ID. Children under the age of 18 whose parents are currently on active duty, in the National Guard or Reserves, or are retired from any branch of the military are also admitted free. The Snowflake Ski Club was founded in 1922. It has its roots deep in volunteerism, community spirit and good will, boasting over 500 members. That’s in a town of 2000 people! The Snowflake Ski Club is one of the two remaining “all volunteer” large hill ski jumping clubs in the Western hemisphere. 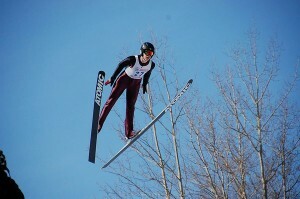 For more information about the 88th Annual Snowflake Ski Jumping Tournament go to http://snowflakeskiclub.com.